More than 100 people gathered on March 29 for the second annual Race and Equity Summit. 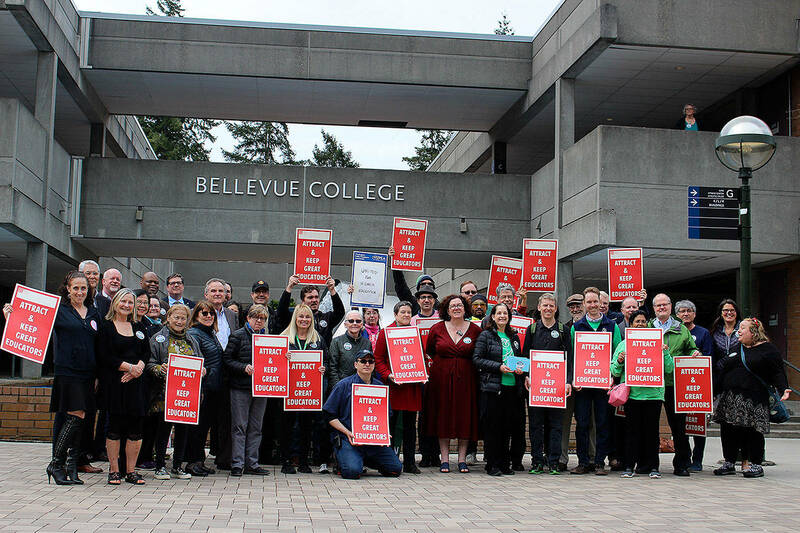 More than 100 people from around the Eastside gathered at the Bellevue Presbyterian Church on March 29 for the second annual Race and Equity Summit. Hosted by the Eastside Race and Leadership Coalition (ERLC), the summit brought together individuals doing equity work in King County to discuss advocacy around race, equality and representation in leadership. Ken Wong, volunteer member of the ERLC, said the 2018 event was organized to make connections and workshop actions people can take to further goals of equity in representation and in social interaction. This year, he said, the goal was to start conversations about developing actions to begin making changes in the community. To that end, two keynote speakers were invited to the event and several smaller workshops were held all day to facilitate group conversations between attendance. Burien Mayor Jimmy Matta gave the first keynote presentation, telling his life story in regards to racial and economic discrimination. Matta walked through his experience growing up as the son of immigrants as well as his path to the city council and the office of the mayor. A second keynote speech was given by Kalika Curry, community impact manager for Eastside Pathways, about how her experiences have given her the tools needed to build community and relationships. After sharing stories of her childhood and some of the things she experienced as a biracial person who is half black and half white, Curry noted that she is trusting the community to value her three children as she values them. “I’m trusting you all with my kids,” she told the audience. In addition to the speakers, several smaller group sessions were held all day on a variety of topics including what people can do about the rise of hate crimes in local communities, how to support leaders of color and advance representation, how the white community can work as allies to minority groups, and what people can do to support and empower youth of color. “Bringing all of our participants together to have that discussion to share what they are doing, the challenges they have and even some plans for what their next steps are,” Wong said. In the session on hate crimes, conversation revolved around intervening with people before harmful or violent action occurs. People in the group acknowledged that many people don’t hear about or are otherwise protected from some of these behaviors due to their socio-economic status, so education throughout a community is an important action. They also considered the influences on a person that can make them so radical to take action against their neighbors. During the afternoon sessions, a common thread throughout was the question of where white people fit into the conversation. “Am I really wanted in that space?” one man asked. There were also discussions on how people of color navigate the workplace as well as other spaces that have historically discriminated against them, such as the health care system and owning property. More information on the Eastside Race and Leadership Coalition can be found at www.eastsiderlc.org.